Next up is Erika. I knew her through her blog Teachers Have Lives Too when I was just studying Chemistry in university. 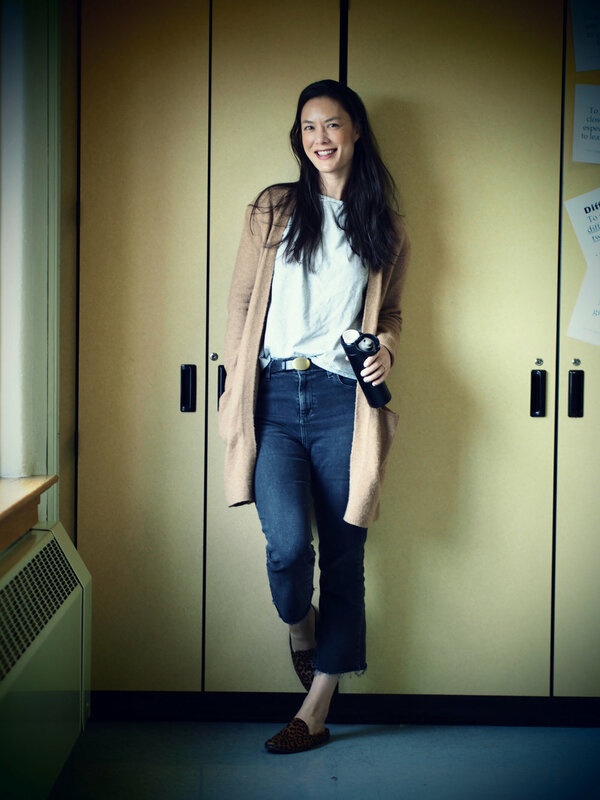 When I decided that I was going to become a teacher, her blog gave me a lot of ideas in developing my own teacher style (very jealous that she could wear denim to work). Her blog is filled with real life anecdotes of her classroom and teaching, which really showcased the multifaceted nature in education. On a side note, I could really relate to her because we are Asian Science teachers teaching in North America. She works so hard to build authentic relationships with her students so that they understand the science, and have fun while she’s at it. Erika is seriously #lifegoals. Follow her on her blog, Instagram or Twitter! Hi! My name is Erika Schenck and I'm a science teacher living in Denver, Colorado. I was born and raised in San Francisco to a Chinese from Vietnam Mom and a 3rd/4th generation Norwegian/Swiss/Swedish Dad from Montana. I started my teaching career in San Francisco, at the same high school I attended. I had originally planned to be a science teacher after high school, and majored in Biology in college. I stalled a lot after school and didn't get started teaching until I was 28. When I finally felt committed enough, I applied to the Teaching Credential program at SF State, and called up my high school to arrange some observation hours. Two days later, they offered me a job and my own classroom as an Intern Teacher. I had absolutely no clue what I was getting into, and the kids had a field day with me. 10 years later, I'm still surviving, and much, much wiser. This is a funny thing for me, because I don't actively "manage" my blog or my Instagram with specifically students in mind. Both my blog and my Instagram are public, and I don't have anything to hide (If i did, I wouldn't publish it on social media anyway). If anything, I welcome (though admittedly, I don't advertise or invite students) students to follow me on social media. I believe that relationship building is the foundation of good teaching, and I am genuinely interesting in my students' lives outside of the classroom. If a student is equally interested in my life outside of the classroom, that just an additional connection I can make with them. After all, I'm their teacher, but I'm also, a real person with real interests and a life outside of school. If my students can relate to me on social media, they are more likely to relate to me in the classroom. Lastly, I think most adults have an exaggerated fear that students will stalk them on social media. I've never received (not sent for that matter) inappropriate messaging, or anything that would give me any pause. I think students are more interested in stalking each other, and I'm more just a blip in their radar. If you're curious, I did share my blog with students once - and you can read about it here. What is your opinion on teachers using social media to connect with other teachers? Have you ever heard that term "It takes a village to raise a child"? Well, it definitely takes a village to raise a good teacher. Teachers need to receive and give support to each other. It's part of my lifeblood - most of my closest friends are teachers. In my first year, my friend (and fellow first year buddy) Ann Zhao joked that we had "trauma bonded", and she was absolutely correct. Social media exists for people to be social, so it just makes sense for teachers to use social media to reach out to other teachers. One of my best resources right now is a Facebook page dedicated exclusively to AP Biology teachers. How do you encourage students think critically in science? In my first few years of teaching, I focused all my energy towards content. Now I focus my energy on getting my students to think, and to show that they are thinking. I teach and use a lot of thinking strategies in my classroom, and my questioning always lead to "why" type questions as opposed to "what" type questions. I try to get kids to make connections as much as they can, and I try my best to make science concepts as real life and tangible as possible. I know many of my students (outside of my AP classes) will likely pursue non-science majors, so it's more important for me to get my kids thinking in terms of real life, or popular, science. Why do you think teacher well being is important? A teacher friend of mine says it best. "If you don't take care of yourself, you will wear yourself thin, stress yourself out, and burnout. In the end, you may end up hurting kids more than if you had actually taken the time to take care of yourself first." I know what the edge of burnout feels like - it was me last year. So this year, I started working out regularly, signing up for group classes that start directly after school day. This forces me to leave school at the bell, and gives me a bit of an endorphin shot at then end of a rough day at school. Sometimes it also means I have to bring my work home with me, but more often than not, it has made me pick my battles and be more efficient with my time. The best advice I can give a new teacher is to try not to bring work home and take time to yourself. To do that, streamline/automate/just not do your most mundane tasks. ie: I grade HW for completion only and check for understanding during class time. My chem lab is always dirty. I don't spend any time decorating my classroom. Streamline. What do you do to unwind after a stressful day at work? Thank you so much for completing this interview with me, Erika! Hope you have a great rest of term.